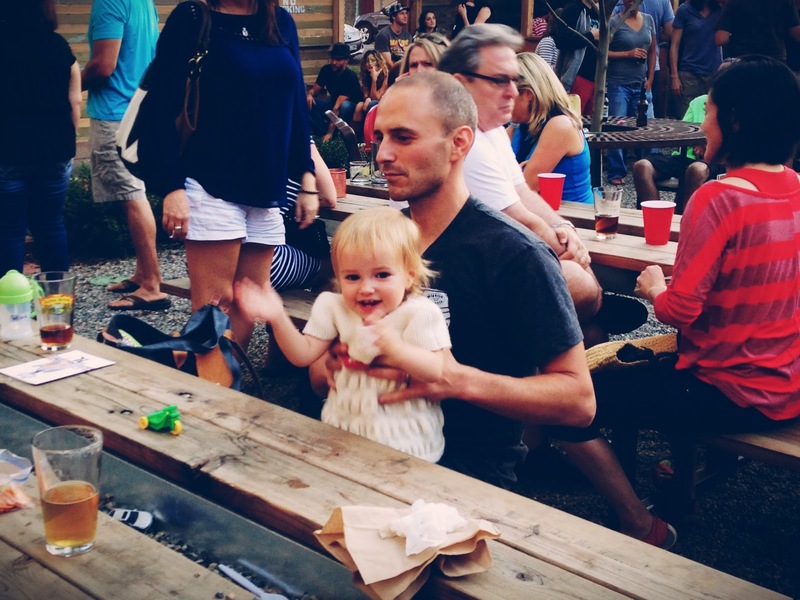 On Saturday afternoon, we hit up Local 46 for their first annual Oktoberfest. Who doesn’t like an Oktoberfest celebration? I can be a naysayer about many things, but even I can’t find anything wrong with celebrating the coming of fall with beer and brats, friends and music. We got there around 5:15pm, and the festivities were in full swing. There were kids everywhere. It was most definitely a “family-friendly” event, but there were several childless groups as well. The event was to benefit Centennial Elementary, so it was great to see so many local kids running around. So much great energy! Local 46 was serving a variety of superb fall beers, including some from Prost Brewing, a Denver microbrewery that specializes in German beers. I first tried their flagship beer, a German Pilsner, which was very drinkable and perfect for a late summer afternoon. I have to try some of their other beers at some point – looks like they have lots of good ones. 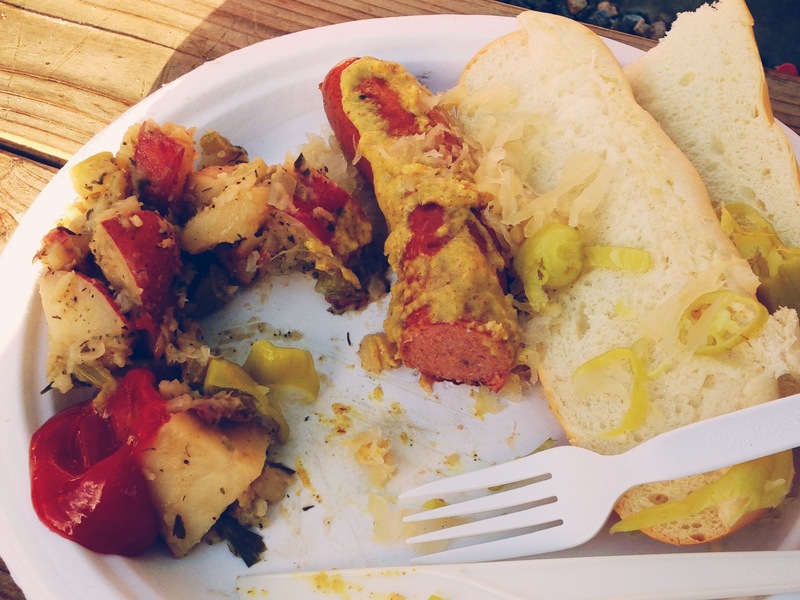 To go along with the beer, they were serving Continental Sausages — we tried an elk sausage and a smoked sausage. Both were delicious, but the buns they were served on were not. Why is it, when serving food, someone decides to take a great item and put it together with a mediocre one? Not smart. But minus the buns, they were quite enjoyable. 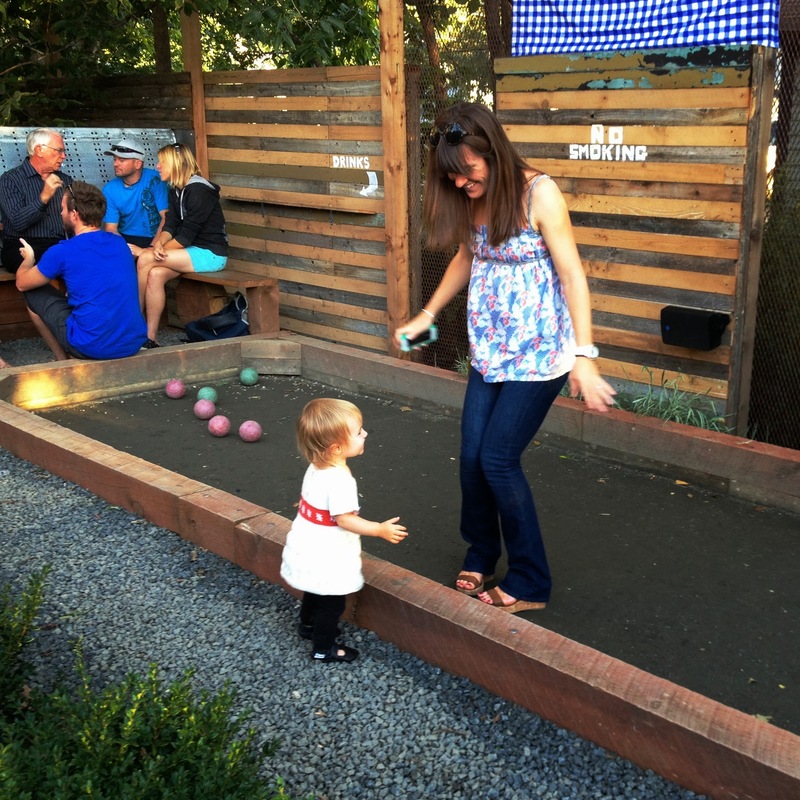 Willa’s favorite part of the event was the bocce court. She kept making her way over there, even if there was a game going on. And I couldn’t believe how well she lifted up those bocce balls. She’s getting strong. Someday we’ll play bocce together for real. But in the meantime, we did some dancing and work on her jumping. She’s determined to get her feet off the ground, but hasn’t had any success yet. 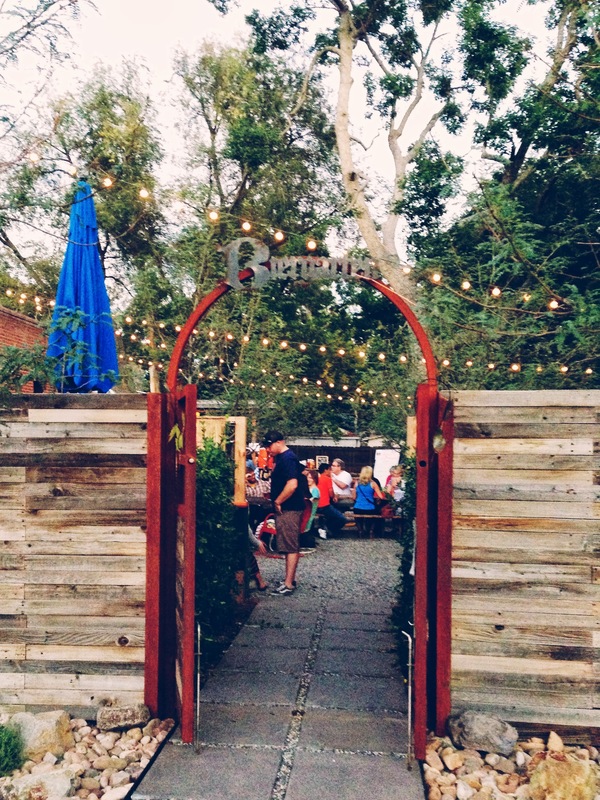 If you missed Oktoberfest, just go check out Local 46’s biergarten when you have a chance. 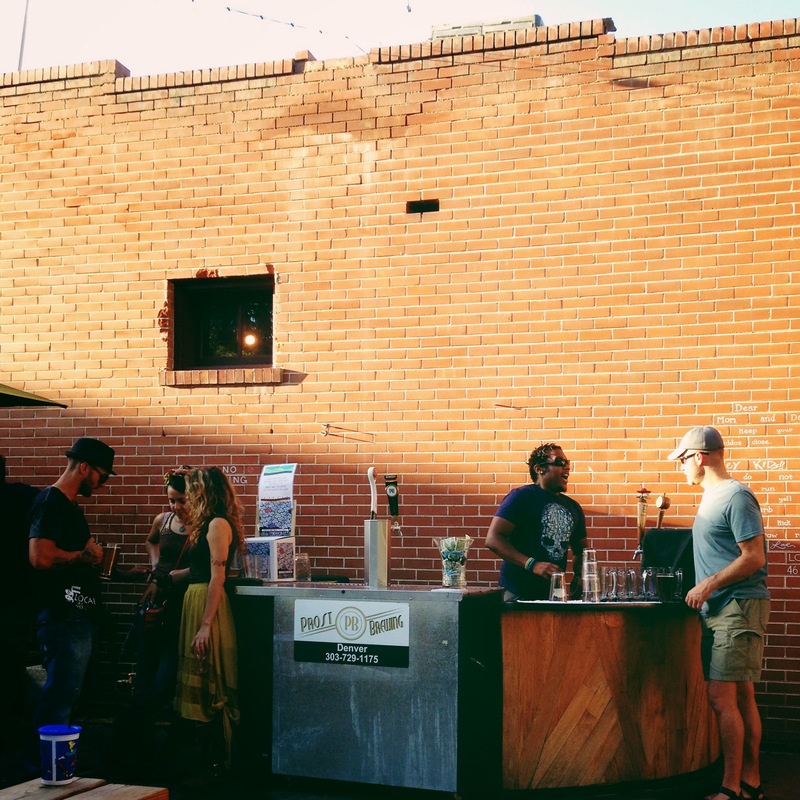 It’s a fantastic outdoor space for lounging, laughing, and enjoying a beer with family or friends. I obviously NEED to check our Local 46! It reminds me lot of a microbrew in Golden that I LOVED. But really, I don’t think I’ve met a microbrew I didn’t love. Wow, what a great post! We are so honored, thank you for coming and celebrating with us. You got some great photos too! I’m happy you enjoyed yourself, I am sorry that you did not enjoy the buns. It was our first time serving Food and I put a lot of thought into the quality and freshness and thought i had made a good call with going with those buns, they were from local bakery and were baked fresh the night before! What are your suggestions for a better bun? What was it that you didn’t love about them specifically so I can keep it in mind as we grow our grill at local 46? I so appreciate your feedback! Thank you! Thanks so much for taking the time to read my post! I love Local 46 and thought the Oktoberfest was a fantastic event! And I’m so happy to hear you’re planning to continue serving food in the future. As for the buns, I am surprised to hear they were from a local bakery and made the night before, because that’s probably exactly what I would have suggested. They were definitely fresh, I just find a typical hot dog bun to be a bit too boring for such great sausages and condiments. I think an “artisan” roll with a bit more structure (maybe even with some whole grains) would be a good complement to all those other great flavors. Thanks again for organizing such an awesome local event! The biergarten has such an amazing vibe, the food was great, the service was super, and the beer being served was perfect for late summer/early fall!